The assistance of Mrs Joy Esler, Mr Russ Ewin (fellow POW and member of 8 th Division Signals) and an obituary written by Mr Philip Hammond is acknowledged. Edwin (Ted) Esler was born in Toowoomba Queensland on 7 th August 1920. As a schoolboy he had always wanted to be a doctor. This was the time of the depression and was beyond the means of his family and, although a local doctor had offered financial assistance, he joined the public service. He was an outstanding student at Toowoomba Grammar School and he topped the state in marks for French. He enlisted in the Australian Imperial Forces (AIF) on 24 June 1940 and in June 1941 was sent to Malaya as a first reinforcement. One of his tasks was to provide communications to the Anti Tank Regiment. As with so many others, Ted became a POW on 15 February 1942. In July 1942 Ted was one of 1,500 POWs who were shipped to Sandakan in North Borneo. This party included POWs who were not really fit and 130 Medical personnel volunteered to go with them. This group included a number of Medical Officers; Lt Colonel Sheppard, Majors Maffey, Rayson, Capts, Elliott, Heinz, Jeffrey, Mills, and Picone. There was also one Dental Officer Captain Reid. Later Captain Oakeshott was also in Sandakan. Captains Jeffrey, Picone & Oakeshott were to die on the march of death from Sandakan to Ranau (the Japanese set out to ensure that some 2,500 were not to survive and of that number only 6 did survive, by escaping). On arrival on Sandakan it became apparent that the men were to build an airfield for the Japs. Ted had some involvement with the establishment of contact with an underground movement. He also decided to learn the Japanese language and was used as an interpreter. He had used an old Japanese dictionary to assist in his studies. As with many allied interpreters, he suffered many bashings when interpreted replies did not suit the Japanese interrogator. The story of the events at Sandakan have been covered in detail by Lynette Silver in her book “Sandakan- A Conspiracy of Silence”, the late Don Wall in his book “Kill the Prisoners”, the late Peter Firkins in his book “From Hell to Eternity” and Kevin Smith’s book “Australia’s Proud but Tragic Heritage”. I do not propose to go into any of that detail. Following the discovery of the existence of the underground movement a number of civilians and one POW officer, Captain Lionel Matthews, were executed. Then most of the officers were shifted to Kuching in Sarawak. Lt Esler was amongst this group. At Kuching he took any opportunity to study and to talk with people from many walks in life, including the doctors. This no doubt also influenced his decision post war to become a doctor. At Kuching he was much liked and respected. Following the end of the war he was discharged from the Army on 22 November 1945. From 1967, when he had his first heart attack, Doctor Ted Esler suffered from poor health. He had several heart attacks and underwent major cardiac surgery. Following his retirement he filled in part time at the Mater Mother’s Hospital, conducting antenatal clinics, did computer work and helped would-be parents through his genetic counselling. Also in retirement, he had intended to translate and write technical medical books covering the advances in obstetrics and gynaecology by Japanese doctors. This project was not finished when he died on 17 April 2003. 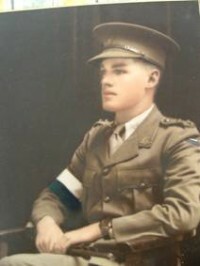 A fellow Signals Officer, who was at Sandakan and Kuching, said that Ted Esler was “one of the finest men he had known”.